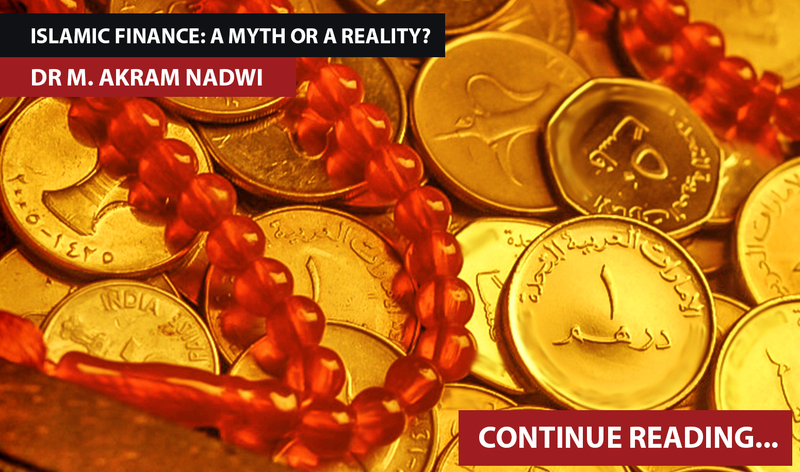 Islamic Finance: A Myth or A Reality? If using the word ‘Islamic’ before ‘finance’ is to mean anything at all, it should mean the kind of finance that belongs in Islam, the kind that Muslims acting specifically as Muslims engage in when they are producing and exchanging goods and services, and generally building up their individual and collective means of livelihood. Over the last three decades or so, Islamic finance has grown into a huge industry. It is huge both in the sense that vast sums of money are handled by Islamic finance, and also in the sense that a great many scholars have been attracted to it, and they have helped to invent or justify financial instruments which claim to make it lawful for Muslims to do things with their money very similar to the things that non-Muslims do with theirs. Yet, if using the word ‘Islamic’ before ‘finance’ is to mean anything at all, it should mean the kind of finance that belongs in Islam, the kind that Muslims acting specifically as Muslims engage in when they are producing and exchanging goods and services, and generally building up their individual and collective means of livelihood. Most ordinary Muslims are, I think rightly, suspicious and cautious about accepting the permissibility of many of these instruments. It does not help matters that banks and investment companies run by and for non-Muslims are happy to use these same Islamic financial instruments because it helps them to attract and keep Muslim customers. That sounds very similar to, for example, a supermarket stocking halal meat in the hope of attracting the business of the Muslims in its neighbourhood. It is indeed similar, but it is not the same. There are known and clear procedures that must be followed before meat is called halal, and perhaps it does not matter that, at the final point of sale, the retailer is a non-Muslim – provided those procedures have been correctly and fully observed. It is not at all so clear-cut with money. Money is something abstract and symbolic as well as real and concrete. It is not just a store and physical sign of value; it is also a means of assigning and exchanging the values of different goods and services. Accordingly, it permeates all human relationships that are connected in any way to the exchange of goods and services. That is why it matters very much to Muslims to know that the money that is circulating among and around them is, from an Islamic point of view, sound and safe, and that the transactions being done with that money are also sound and safe. 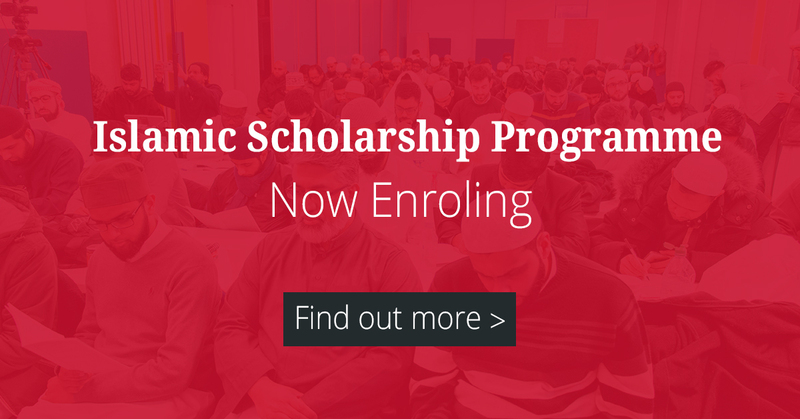 The scholars engaged in developing, and justifying, Islamic financial instruments are engaged in the effort to provide Muslims with the assurance that those instruments are sound and safe from an Islamic point of view. In order to judge whether and how far those scholars have succeeded in achieving this goal, it is necessary to step back and ask how we can know if a practice is sound from an Islamic point of view. Before we can do that we need to take a further step back and ask whether and how far such a task is possible at all. In other words, before I get into a discussion of particular instruments and contracts now being offered as Islamic finance, I want to establish as clear a framework as possible for this discussion. This is a necessary prelude to reaching a balanced judgement about these instruments and contracts based on a sufficient appreciation of the external necessities and the internal assumptions and arguments (some persuasive, some not) which have led Muslim scholars to seek out some sort of Islamic rationale for various modern financing techniques. The world as we find it has in it three distinct orders that overlap and interpenetrate. The largest order encompasses all creatures, living and non-living, human and non-human, Muslims and non-Muslims, all together. We can call it “the natural order”. It is perceptible and intelligible to human beings; to some extent they can work out how it operates and, in some measure, influence and control what happens around them. This order includes the boundaries of time and space, and what modernists in the West call the laws of nature, to which everyone and everything is subject, involuntarily. Within that natural order, there is “the religious order” of divine commands communicated to human beings through God’s prophets and messengers. This order is addressed specifically to human will, and demands a conscious, consenting, voluntary obedience. Finally, there is “the Islamic order” of divine instructions that bind specifically Muslims, commanding or commending them, through the Book and the teachings of God’s Messenger (pbuh), to live in certain ways and to avoid certain other ways. Because these three orders exist together in the one same world, it is sometimes the case that the approval of a certain way of acting as Islamic, as conforming to the Book and Sunnah, does not at all contradict its being approved by non-Muslims as “practical’ or “useful” or “sensible” or “healthy” for the individual or for society. Non-Muslims just like Muslims get hungry and need food; get ill and need medical attention; get attacked and need to fight; get curious and need to explore and travel. Then, if Muslims find notably effective ways of serving these needs, we cannot be surprised if non-Muslims adopt those ways. That is obvious. It is also obvious that the converse applies: to serve their basic wants and needs, Muslims can in principle adopt ways that are or were the ways of non-Muslims. That is surely true. But it is also true to say that, in some instances, no matter how “useful’ or “efficient” certain means are for the achievement of certain ends, Muslims as Muslims will reject them as unIslamic. How do they decide when they may and when they may not adopt the ways of non-Muslims? This is not an easy question. For the time being, let us note that if we are going to refuse certain financial instruments or transactions as unIslamic, we cannot do so simply on the basis that they are of “Western” or non-Islamic origin. We must have a better reason than that. When we try to implement the rules and norms that constitute the Islamic order, we are not exempt from the conditions that obtain in the natural order. Accordingly, those Islamic rules and norms must be implemented with a measure of flexibility. For example, in a situation of necessity, where Muslims have no freedom of action or choice, what is normally prohibited is considered lawful for the duration of the necessity. This indulgence is intended to be temporary, exceptional. It is conditional on Muslims not desiring that which is normally prohibited. The only reliable proof that Muslims are not desiring what is normally prohibited to them is that they are striving to remove themselves from the situation in which they have no freedom of action to a situation where they do have such freedom. So, even if we are forced to adopt novel kinds of financial instruments or transactions on the basis that Muslims are so powerless in the world that they have no choice but to submit to the global financial order, there is, nevertheless, no compulsion whatever to legitimize such instruments or transactions by calling them “Islamic finance”. All humans in the normal state of things have a measure of freedom of action. What distinguishes Muslims as Muslims is that, in the normal state of things, they strive to use that freedom of action in obedience to the will of God insofar as that is known to them through the teachings of Islam. To the extent that they consciously strive to do that, their lives fulfill the purpose for which the Book tells us they were created, namely to worship God. For believing, practising Muslims, the natural order of this world, its being perceptible, intelligible, useful, beautiful, etc., is the wide space, provided by the Creator, within which human freedom of will and action are experienced as a reality. If the natural order were not as reliable as it is, freedom of will would not be experienced as real. But the natural order is there, real and reliable. That is why human life in this world can function as an enabling test, a test through which Muslims learn to perfect their obedience to God’s will and so earn the promised recompense hereafter. Thus, we should expect from Islamic finance and the financial instruments it invents or justifies that they help Muslims to (at least) avoid doing what God has prohibited, and (ideally) help them to do more easily and conveniently what God has permitted. This is not a matter of clever word games, clever labeling. Surely Muslims will not accept as permissible the kinds of transaction they had long believed to be prohibited, even if Islamic economists find clever ways to label them as permissible. But, you will ask, how are things known to be permitted or prohibited; how do they get entered into one or the other category? The answer is that we find out by referring to Islamic teachings on the matter in question. But then we must ask: how do Islamic teachings decide the matter in question? In answering that people often confuse two things – they confuse the authoritative sources of Islamic teachings, the Qur’an and Sunnah, with the rulings derived from those sources by Muslim scholars. The confusion leads to very serious difficulties for Muslims if, in principle or in practice, they accord to the derived rulings the authority of the primary sources. For reasons that will become clear later, I will use for the derived rulings the term “doctrines”. For the teachings in the primary sources, I will use the term “guidance”. Now, we can and do refer to the doctrines that constitute the Islamic legal and cultural tradition that we have inherited. We study and respect those doctrines; we learn from them; if we don’t know any better (and 99.9 per cent of the time we really don’t know any better), we follow them to the best of our ability in our circumstances. But the promised recompense hereafter for obedience to God’s will does not depend on our following the derived doctrines; it depends for sure on our following the guidance in the primary sources. Of course, for most of us most of the time, because of our deficiencies in `ilm and taqwa, in our knowledge and wariness of God, following the doctrines is the best way we know of following the guidance. Because we are discussing Islamic finance, I will try to illustrate the difference between guidance and doctrine using examples connected to economic behaviour. The guidance, as presented in and constituted by the Qur’an and Sunnah, contains two kinds. One kind is quite specific, explicit, concrete instructions to do this and not that; the other kind is commands or strong encouragements to seek certain outcomes or goods. Mostly these goods are the virtues (being honest, kindly, fair, just, decent, etc.) that are connected to those concrete instructions, directly or indirectly. The sum of these good outcomes, or the supreme good, is `ibadah, worship, because that is what human beings were created for; worshipping their Creator is their proper function; doing so well, with ihsan, is what most honours and dignifies human life. Now, consider a poor man who happens to have two bicycles. One he uses every day; the other is idle. He decides to rent out the second bicycle for a period of six months, and this becomes a source of income for him. He takes the risk that the bicycle will suffer wear and tear over the rental period, perhaps may never be returned, and so on. The rental income he gets in this way is lawful. Now consider a rich man who has two lots of money; one lot he needs for his everyday uses; the other lot is surplus. He decides to rent out the latter for a period of six months. Money does not suffer much wear and tear, but how much the same money can buy varies over time; also, there is the risk that the money may never be returned, or the return of it delayed, and so on. Yet, despite these risks attached to renting out money, doing so, and the income from doing so, is forbidden by God and by His Messenger. The language used in the Qur’an to condemn the practice is exceptionally fierce: those who indulge in riba are threatened with war from God and His Messenger, that is to say, the sanction against the practice is not just reserved to the hereafter. In the example just given, the forbidden act is renting out money, i.e. lending it on interest. That is a simple matter to understand. It is not at all what modern banks do. They do not merely lend on interest the money that they possess directly or which they control as agents on behalf of their depositors. The banks also, as the expression goes, “create money” by lending on interest money that is not in their possession or control. Every debt owed to a bank, and the interest on it, even before it is repaid, is accounted on its books as an asset of the bank, as part of the disposable reserve of money it can lend out – which it does, again and again. All the levers of state power are called on to underwrite the authority of banks to, in this way, lend what they do not have and to charge rent for doing so. This is especially true when there is a perception that the debts owed to banks may not be repaid, which carries the threat that those who have deposited their money in the banks will not get it back. Typically, in such circumstances, the state protects the interests of the banks, not the depositors. When governments claim that they have guaranteed deposits, what they have done in fact is to protect the banks from the effects of a panic among depositors which would lead them to demand their money back from the banks – in practice the banks never hold enough money to be able to repay all at once the money they are supposed to be keeping safe. And where on earth would the government get the money from to repay all the deposits it claims to guarantee on behalf of the banks? The prohibition of riba is an instance of a specific, explicit, concrete instruction in the Book and Sunnah. It is directly connected to an assemblage of commands and strong encouragements: to trust that God does provide for the sustenance of His creatures (the opposite of the assumption of scarcity of resources); to purify earnings through the obligatory payment of zakah, and the voluntary payment of sadaqa; to understand that the poor and needy have a right on the property of those who enjoy a surplus. It is connected to the general encouragements to deal equitably and fairly, to avoid fraud and deception, etc., to be benevolent. Economic behaviour is in no way or degree exempt from the ethical norms that apply to human relationships generally. The prohibition of riba has also been linked to the prohibition of gambling or speculation and could be linked to the prohibition of exploiting the weak-minded or minors who are unable to understand or manage their own affairs. Taken together, these topics make up the guidance of Qur’an and Sunnah on the direction and management of economic power and economic relationships. Of particular importance for our subject is the Qur’an’s strong and clear instruction not to permit wealth to circulate only among a few; the flow of wealth must not be impeded by hoarding or monopolizing essential commodities or blocking routes of transit of goods and information, or by any other means that lead to excessive concentrations of wealth in few hands. An example of a pernicious monopoly that is pervasive in modern societies is the one I just described, the power given to banks to “create money” out of the thin air of arithmetic, and then charge rent for lending it. The doctrines that Muslim scholars developed from and around this guidance were intended to serve that guidance, to make it easier to understand and implement in the ever-variable circumstances of real-life situations in different regions with different local customs of trade and commerce. The doctrines were not developed to serve an economic or political or legal philosophy with a rationale distinct from and independent of the guidance. But why was it necessary to do this at all? If we ask and answer this question properly we will get a very useful insight into the nature of the doctrines. Ordinary human experience tells us that to apply any rule fairly you have to do both of two things: you have to apply the rule consistently in different situations, and yet you have to apply the rule flexibly enough to take account of the particular circumstances to which you are applying it. If you apply the rule while ignoring the circumstances of the particular case, you risk committing an injustice of some degree. On the other hand, if you do not apply the same rule in the same way to different cases, you risk the charge of arbitrariness and favouritism. The hardship of finding the balance between these two needs is what qualifies human judges for recompense hereafter just for trying, and a double recompense if they happen to find the right balance. The Qur’an describes itself and the Prophet as a mercy for mankind. It is one aspect of that mercy that the guidance of Qur’an and Sunnah has the power to inspire believers to do both these things – to live by the letter and by the spirit, both. The reason applied by the Muslim scholars to the guidance was practical reason, the kind that we use every day to distinguish and balance immediate and long-term priorities, to choose the course of action expected to result in the most good or the least harm. This kind of reason is quite different from the abstract reason of the Muslim philosophers and theologians who defined and elaborated concepts and rational arguments to promote or defend intellectual propositions with little or no practical relevance to the duty to follow the guidance of Qur’an and Sunnah. They were not dealing with the practical problems of Muslims, but with the intellectual or linguistic problems posed by the philosophers and theologians who came before them. Their primary point of reference, the primary stimulus or inspiration for their efforts, was not the Qur’an and Sunnah, but various personages, ideas, arguments and practices from pre-Islamic or non-Islamic cultural traditions. For the Muslim scholars of the first centuries who were striving to help Muslims implement the guidance, the sources were the Qur’anic text and the Sunnah as recorded in the corpus of Prophetic and Companion hadiths and the historical tradition. Neither Qur’an nor Sunnah contain doctrines, of a philosophical or theological or sociological or political or legal or economic or any other kind. The material of which the guidance of Qur’an and Sunnah is composed contains very few, if any, formal propositions and arguments. The most typical form the material takes is stories: one or more incidents; report of a situation and its outcome; report of a short sequence of question and answer on a specific occasion. A woman has experienced such and such treatment from her husband; she reports the same to the Prophet; he says about it such and such. A man has sinned during the fasting month, he wants to do expiation; the Prophet says, do this, but he can’t; this other thing; but he can’t; still another thing, still he can’t; finally, the Prophet finds a way for him. People are rushing out of Madina to meet the caravans bringing merchandise into the city; they know the price the merchandise would fetch in the city market, but they want to buy it cheaper and re-sell back in Madina; the Prophet forbids this. From this material we do not get a formal discussion, still less a definition, of virtue or justice or benevolence or the role of women or the role of the head of state, or the role of the free market, etc. What we get are instances of just and virtuous behavior, instances of what a woman might do or say that the Prophet commented on, instances of what he did as head of state in different situations, instances of what he commended or criticized in the bearing and conduct of those he appointed to positions of authority, instances of economic behaviour that he witnessed, kinds of buying and selling, kinds of contract, etc. And among the instances are many variations of judgement – from outright condemnation all the way to a silent acceptance that is not approval of a behaviour or utterance, but which is also not a rejection. On the positive side similarly, there is wide variation from passionate endorsement of the way a Companion had spoken or acted to a conditional approbation with encouragement to do still better. Also, and most importantly, there are instances of a matter being judged strictly on one occasion and judged leniently on a different occasion, because the judgement would affect persons of different capacity or be carried out in different circumstances. Within the range of the Sunnah we have examples both of strict consistency and of gracious flexibility. As noted earlier, both these are needed if we are striving for the supreme good for all Muslims, individually and collectively, namely that they worship God well. With Muslims, as with human beings generally, capacities and opportunities (that is to say, the internal and external necessities that influence our choices and actions) differ considerably. These difference have to be taken into account if all are to be guided towards the same goal of worshipping God and doing so freely and gladly, with good grace. 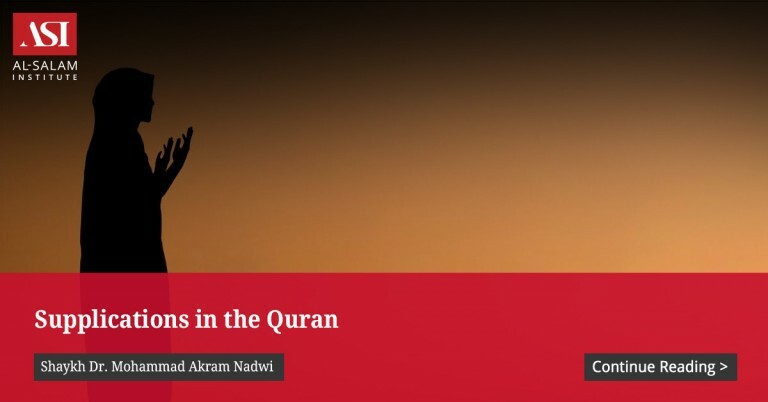 Regular and sustained exposure to this great wealth of material – and it was normal for scholars to internalize the Qur’an and much of the hadith corpus by memorizing it – enables Muslims to know the guidance of Islam and put it into practice. This happens in the same natural, practical way that children, after regular and sustained exposure to the language used around them, learn that language as a whole and all its parts – its words, its varied inflections and intonations suited to different contexts, and its rules of grammar which tell them when a usage is quite unacceptable or merely unusual (that is, when it is quite impossible or merely difficult for others to understand). Of course the analogy is imperfect, but it helps us to grasp the fact that there were many thousands of Muslims in the early centuries of Islam who, having lived and studied for decades with the Companions and their Followers, were adept with the sources of the guidance, and they derived very sensible and practical rulings from it. Those rulings are not systematically consistent in the way that one expects from a body of philosophically rigorous and sequential arguments. However, they were strongly consistent with the letter and spirit of the guidance, and they were strongly oriented outwards in the direction of the problems and hardships that Muslims encountered in trying to live within the natural order according to the commandments and commendations of the Islamic order. Over time, perhaps inevitably, patterns of consistencies in the rulings, and in how the rulings were reasoned, emerged in regional centres. These patterns formed the basis of the emerging schools in the Islamic legal tradition. Still later, inheriting the excellent work of the pioneers in that tradition, the later scholars, in spite of the instruction of those very same pioneers, referred less and less to the sources of the guidance, and more and more to the derived rulings. Instead of being focused on understanding the letter and spirit of the guidance, they focused more on understanding the letter and spirit of the derived rulings. Instead of being oriented outwards to the difficulties of Muslims in their everyday lives, they became oriented inwards towards the difficulties within their own work. They strove therefore to correct and remove inconsistencies among the derived rulings – perhaps forgetting that there may have been very good practical reasons for those inconsistencies – and they strove to unify particular rulings on the basis of general legal maxims. Accordingly, it is right to speak of this later work of institutionalization of Islamic legal rulings as the construction of schools or doctrines. Although the greatest scholars always looked outside the arguments and traditions of their own school to learn from those of other schools and criticize their own, most scholars did not do this, being content instead with loyal commentaries intended to preserve and consolidate the work of their school. So, eventually, it became possible to speak of a Hanafi or a Shafi‘i or a Maliki or a Hanbali position on this or that matter. This was the foreground of the scholars’ attention and activity; behind it, in the background, was the consciousness that, despite the differences, all these positions were all, also, Muslim. Mercifully, now and again, there arose within the community, clear-sighted and clear-hearted individuals who knew, and who said publicly, that it should be the other way round. An example is Shaykh al-Islam Ibn Taymiyya, who refused to be identified as a Hanbali, and insisted on his identity as a Muslim. From the foregoing discussion, I hope you will understand two things that will help us to reach a balanced judgement about contemporary Islamic finance. The first is that in the past, in the response of Muslim scholars to the disputes and difficulties Muslims faced in their daily lives, we can distinguish two general approaches, respectively early and late in our tradition. In the earlier periods, the scholars looked to the guidance of the Qur’an and Sunnah, and struck a good balance between adhering to the letter of specific, explicit commands in that guidance and enabling the general outcomes connected to those commands, which the guidance urges Muslims to establish in their lives, individually and collectively. In a particular situational context, they might allow a practice that was on the edge of doing the prohibited so long as, overall, it contributed to strengthening the Islamic order. As often as not, this was an exercise of patience, accepting or allowing with some modification pre-existing established practices so as to give new Muslims or Muslims in a weak position time to adapt to the Islamic order. The commitment to the guidance of Qur’an and Sunnah is very strong in the earlier period, and the authority of these sources has absolute primacy. People are memorizing Qur’an and hadith, they are not memorizing primers of Hanafi or Shafi‘i rulings. In the later period, the scholars looked habitually to the authority of the rulings inherited in their school or region, and looked to the authority of the original sources only in a formal, intellectually dull way. They developed a rationale for the rulings, to give them consistency and clarity and therefore intellectual authority. The result of this is distinctive definitions of terms (like riba, for example) and elaborated doctrines (for example, about the role of women, the authority of rulers to fix or not fix prices, and so on). In practice, these doctrines and definitions, while they professionalize the work of the scholars, and improve consistency in the application of rulings, also narrow the field of concern. In the later period, people are looking for conformity with the derived rulings or consistency with the rationale behind the rulings. The result is a failure of attention to the general outcomes connected to the commands, so that Islamic societies do not become more just and fair or more peaceful and prosperous as a whole, but specifically Islamic rulings are nonetheless being applied. This makes the Islamic identity of the rulings and perhaps of the society in which they are implemented mostly symbolic. As I will show, many of the instruments and transaction contracts that are billed under Islamic finance are only just Islamic and only in the latter, symbolic sense: they build or propose legal solutions on the pattern of terminology and contracts in the late classical fiqh (contracts which, by the way, may have been intended for specific contexts only), without any regard for whether the general outcome to which these contracts contribute is even tolerable, let alone desirable, according to the guidance of Qur’an and Sunnah. But we must also anticipate in our discussion that the guidance of Islam makes allowance for the burdens of necessity that severely limit freedom of choice and action, and so it gives people time to adapt and amend, while they strive, and ask God’s help, to lighten the burdens in their lives and consciences. Based on the information above, could you pls advise where do the current crop of Islamic finance companies that provide loans for home purchases stand? Are they on the path of guidance or doctrine or neither?